Running a small business means having to cut costs and keeping a constant eye on expenses to just to turn a modest profit. There are several low and no-cost strategies which small business owners can utilize to realize much larger profits. Here are the top 10 tips used by seasoned small business professionals to increase their cash flow to heavenly proportions. Measure and set a gross profit goal. Be sure the accounting system that is being implemented is properly categorizing costs. This will help you to properly do a comparison with competitors in the same industry. Review this information to ensure the costs of goods and services is not more than the costs being spent by competitors. Data for this type of comparison can be obtained from trade associations, according to the Houston small Business Chronicle. This allows business owners to set gross profit margin goals. Having access to this type of comparative information on a regular basis can help business owners take quick action to adjusting practices and have more control over profit increases. Making a small investment in a bar code scanner from premium companies like Shopify can make a huge difference in the bottom line of a small company. These devices do much more than just make the retail checkout experience more efficient and accurate, according to Social Media Today. These bar code scanners can be an excellent tool for keeping track and managing inventory. Having an easy method to do this is a great way for a small business to track the investments they are making into products and to increase sales. After getting a handle on reviewing gross profit margins, small business owners are ready to take their business analysis to the next level. This entails doing something called the “drill down”. This means taking a look at historical growth profits by looking at profits in way most business owners would consider being the reverse order. First, look at the total gross margin, then the gross margin by department, gross margin by product and then the gross market by SKU number. Looking at the information in this order allows the business owner to clearly view and identify which aspects of a business are helping to meet profit goals as well as which are hindering the process. Find ways in which to add value or customize products and services which are being offered. Following industry related journals and trade publications which review the latest trends can offer suggestions for how this can be done. Once a plan has been devised, the cost of products and services can be increased. 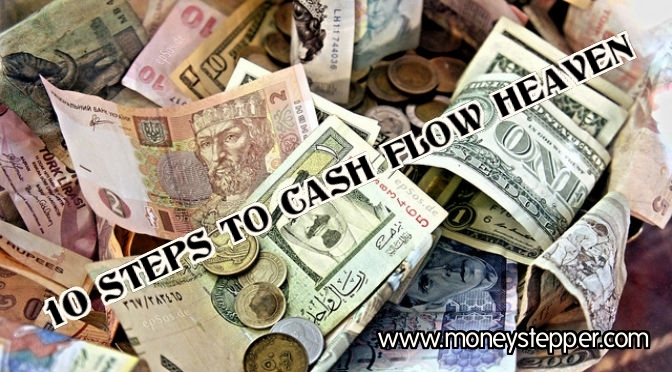 This is a simple way to increase cash flow into a business and remain ahead of the competition. Any small business needs to discount goods and services from time to time to remain alive in the marketplace. Small businesses need to offer discounts strategically, as advised by the Small Business Authority. Businesses which offer discounts by habit, instead of doing so with a purpose, tend to make their consumer base numb to their efforts. This means they do not generate the full sales they could from discounting products and services. Instead a discount should be scheduled and advertised in such a way that it seems rare and special for the discount to be offered. This creates a sense of urgency in customers and can do a lot to increase sales. When making inventory purchases, a small business owner always needs to keep purchases within a target margin that is in alignment with their consumer’s price points. This may mean taking the time to negotiate with vendors. When negotiations don’t yield the proper margins, business owners need to look into other vendors who might be willing to work with them at the price point they need to make their profit goals. When a business experiences a slow season, it is a good time to introduce counter-cyclical products or services to the business core. This can be done to generate incremental profits and increase cash flow. A wise business owner should take the time to study which of these types of products in their industry would work for their business during times of traditionally decreased sales. Business owners need to take the time to get in touch with their industry leaders and learn from their experience. Often, people who have been successful in a particular industry are willing to share their knowledge with those who are newer to that industry. Listening to the wisdom of these experienced individuals can do a lot for a business’s bottom line. Getting a fresh perspective can be one of the most profitable moves a business can make. Business owners should take into consideration suggestions from their customers and their employees. These individuals offer a perspective that is often lost on business owners. The information obtained from this form of research could yield some very profitable ideas. Always seek a new positive risk. Not doing this can make a business and its profits stagnate. Stepping outside comfort zones and taking chances is where successful business owners find new profits. Fast Cash Property Purchases – How do they Work? 2014 Goals – June, you’ve been awesome!